Leading economists do not expect a change to the OCR next week, and predict the central bank will maintain a cautious outlook on the domestic and global economy. Rates are widely expected to stay on hold as the Reserve Bank makes its next OCR decision on Wednesday, according to TMM Online's Preview Survey. This week's GDP figures showed the New Zealand economy grew by 0.6% in the December quarter, slightly stronger than economists expected. The economy has not lost as much momentum as first thought, reducing the near-term risk of an OCR cut. Economists contacted by TMM say Adrian Orr will stick to his guns, and markets seem to agree. The probability of an RBNZ rate cut (before November) fell from 52% to 48% this week, according to Bloomberg. The central bank's current stance is for rates to remain on hold through this year and next year. It says rates could go up or down in 2021. Independent economist Michael Reddell does not expect the Reserve Bank to "materially" change its language, while Annette Beacher of TD Securities said there "was no scope for change". NZIER's Christina Leung believes the governor will be "slightly more cautious", but to "reiterate its neutral stance". Reddell expects RBNZ to "err towards changing as little as possible in this particular statement/review", as it looks to implement its Monetary Policy Committee on April 1. 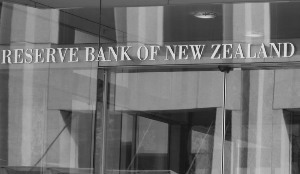 Following this week's GDP numbers, economists at Westpac say it "seems more likely now that the RBNZ will hold its line in next week’s statement", rather than adopting a dovish tone. "There just isn’t a strong case for interest rate cuts in an economy that is trundling along at about its potential," the economists, led by Michael Gordon, added. Next week's OCR review comes as influential central banks adopt a more conservative tone across the globe. This week, the US Fed voted to keep interest rates on hold, and said it did not expect rates to rise for the rest of 2019 due to slow growth. Elsewhere, markets expect Australia's Reserve Bank to tighten monetary policy amid cooling growth.